Take your Sarasota drive to the next level behind the wheel of a new Chevrolet Impala. Originally debuting in 1958, the Impala generates incredible speed and power, and style, making it a lasting and important car in the Chevrolet lineup. 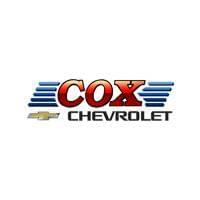 Once you’ve decided on a Chevrolet Impala model that is right for you, make the trip from Tampa to Cox Chevrolet so you can see the Chevrolet Impala for yourself! $5,343 off MSRP! Priced below KBB Fair Purchase Price! This 2019 Chevrolet Impala LT in Pepperdust Metallic is well equipped with: 100-Watt 6-Speaker System, 8" Diagonal Color Infotainment Display, 8-Way Power Driver Seat Adjuster, Exterior Parking Camera Rear, Heated door mirrors, SiriusXM Radio, Speed control, Turn signal indicator mirrors, USB Port. Included 2 Year Complimentary Basic Maintenance / In Business Over 90 years / Call 1-888-844-3454 For Details. %Off Offer includes price reduction below MSRP and Cash Allowance. On Select 2019 Chevrolet Vehicles. Not available with special finance, lease or other offers. Take new retail delivery by 04/30/19. GMF Down Payment Assistance. Cash usable only if financed through a supported or unsupported GMF contract. NOT Compatible with Standalone APR Program. Customer must qualify and finance with GM Financial. See participating dealer for details. $5,875 off MSRP! Priced below KBB Fair Purchase Price! This 2019 Chevrolet Impala LT in Cajun Red Tintcoat is well equipped with: 120-Volt Power Outlet, 8-Way Power Driver Seat Adjuster, 8-Way Power Front Passenger Seat Adjuster, Auto-Dimming Inside Rear-View Mirror, Automatic temperature control, Carpeted Trunk Mat, Driver Confidence Package, Front dual zone A/C, Heated Driver & Front Passenger Seats, Heated Steering Wheel, Leather Seat Trim, LT Convenience Package, LT Leather Package, Premium Carpeted Front & Rear Floor Mats, Rear Cross-Traffic Alert, Rear Park Assist, Side Blind Zone Alert w/Lane Change Alert, Trunk Cargo Convenience Net, Universal Home Remote. Included 2 Year Complimentary Basic Maintenance / In Business Over 90 years / Call 1-888-844-3454 For Details. %Off Offer includes price reduction below MSRP and Cash Allowance. On Select 2019 Chevrolet Vehicles. Not available with special finance, lease or other offers. Take new retail delivery by 04/30/19. GMF Down Payment Assistance. Cash usable only if financed through a supported or unsupported GMF contract. NOT Compatible with Standalone APR Program. Customer must qualify and finance with GM Financial. See participating dealer for details. $7,712 off MSRP! Priced below KBB Fair Purchase Price! This 2019 Chevrolet Impala Premier in Iridescent Pearl Tricoat is well equipped with: 8-Way Power Driver Seat Adjuster, 8-Way Power Front Passenger Seat Adjuster, Auto-Dimming Inside Rear-View Mirror, Bose Centerpoint Surround Sound Premium System, Carpeted Trunk Mat, Driver Memory, Forward Automatic Braking, Forward Collision Alert, Full Range Adaptive Cruise Control, Heated Steering Wheel, Outside Heated Power-Adjustable Mirrors, Power Tilt & Telescoping Steering Column, Power Tilt-Sliding Sunroof, Premier Confidence Package, Premier Convenience Package, Premium Carpeted Front & Rear Floor Mats, Ventilated Driver Seat, Ventilated Front Passenger Seat, Wheels: 20" Aluminum. Included 2 Year Complimentary Basic Maintenance / In Business Over 90 years / Call 1-888-844-3454 For Details. %Off Offer includes price reduction below MSRP and Cash Allowance. On Select 2019 Chevrolet Vehicles. Not available with special finance, lease or other offers. Take new retail delivery by 04/30/19. GMF Down Payment Assistance. Cash usable only if financed through a supported or unsupported GMF contract. NOT Compatible with Standalone APR Program. Customer must qualify and finance with GM Financial. See participating dealer for details. $6,724 off MSRP! Priced below KBB Fair Purchase Price! This 2019 Chevrolet Impala Premier in Iridescent Pearl Tricoat is well equipped with: 8-Way Power Driver Seat Adjuster, 8-Way Power Front Passenger Seat Adjuster, Auto-Dimming Inside Rear-View Mirror, Bose Centerpoint Surround Sound Premium System, Carpeted Trunk Mat, Driver Memory, Forward Automatic Braking, Forward Collision Alert, Full Range Adaptive Cruise Control, Heated Steering Wheel, Outside Heated Power-Adjustable Mirrors, Perforated Leather-Appointed Seat Trim, Power Tilt & Telescoping Steering Column, Power Tilt-Sliding Sunroof, Premier Confidence Package, Premier Convenience Package, Premium Carpeted Front & Rear Floor Mats, Ventilated Driver Seat, Ventilated Front Passenger Seat, Wheels: 20" Aluminum. Included 2 Year Complimentary Basic Maintenance / In Business Over 90 years / Call 1-888-844-3454 For Details. %Off Offer includes price reduction below MSRP and Cash Allowance. On Select 2019 Chevrolet Vehicles. Not available with special finance, lease or other offers. Take new retail delivery by 04/30/19. GMF Down Payment Assistance. Cash usable only if financed through a supported or unsupported GMF contract. NOT Compatible with Standalone APR Program. Customer must qualify and finance with GM Financial. See participating dealer for details. $6,320 off MSRP! Priced below KBB Fair Purchase Price! This 2019 Chevrolet Impala LT in Pepperdust Metallic is well equipped with: 120-Volt Power Outlet, 8-Way Power Driver Seat Adjuster, Auto-Dimming Inside Rear-View Mirror, Carpeted Trunk Mat, Exterior Parking Camera Rear, Heated Driver & Front Passenger Seats, Heated Steering Wheel, LT Convenience Package, Premium Carpeted Front & Rear Floor Mats, Trunk Cargo Convenience Net, Universal Home Remote. Included 2 Year Complimentary Basic Maintenance / In Business Over 90 years / Call 1-888-844-3454 For Details. %Off Offer includes price reduction below MSRP and Cash Allowance. On Select 2019 Chevrolet Vehicles. Not available with special finance, lease or other offers. Take new retail delivery by 04/30/19. GMF Down Payment Assistance. Cash usable only if financed through a supported or unsupported GMF contract. NOT Compatible with Standalone APR Program. Customer must qualify and finance with GM Financial. See participating dealer for details. What Makes the Chevrolet Impala Unique? In addition to its power, the Chevy Impala has plenty to offer you and your passengers inside. Thanks to built-in 4F LTE Wi-Fi® and optional features such as Chevrolet MyLink†, you can enjoy a full suite of entertainment without having to leave your car. For more information on our Bradenton dealership, contact us. We would love to help you finance your car. We hope to see you soon! What Is the 2019 Chevy Blazer Price?